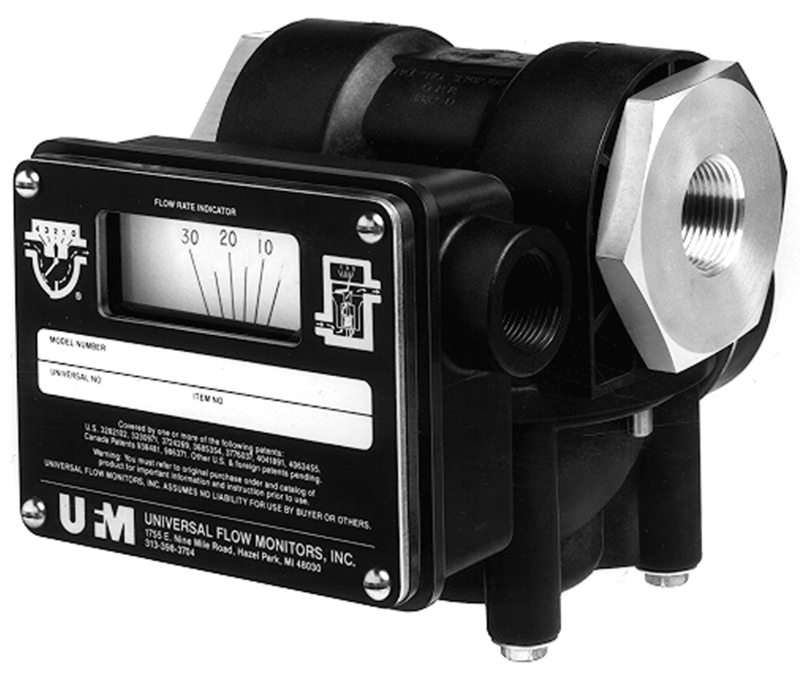 UFM’s medium series vane-style variable area flowmeters (MX model) operate with a spring biased semi-circular vane that opens wider with more flow. They are installed in-line in any position. Straight pipe run before or after the meter is not required. The simple mechanical connection directly drives pointers, switches and transmitters. These MX flowmeters have plastic bodies, a wide variety of metal internals, and fittings. They are ideally suited to monitor flows of such fluids as corrosive liquids, seawater, deionized water, acids, caustics, and plating solutions.